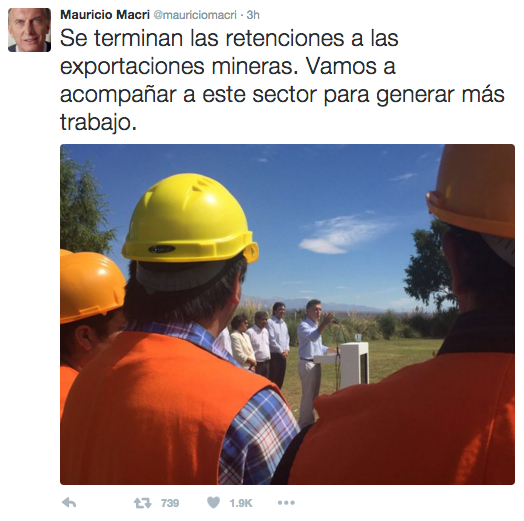 Miners struggling to cut costs amid plunging metal prices just got some help from Argentine President Mauricio Macri, as he announced the government has revoked a 5% tax imposed by the previous administration on mining and energy companies. "This is the end for mining taxes. We will help the sector generate more jobs." Top gold producers Barrick Gold (TSX, NYSE:ABX) and Goldcorp (TSX:G) (NYSE:GG) as well as billionaire Ivan Glasenberg’s Glencore (LON:GLEN), AngloGold Ashanti (JSE:ANG) and Yamana Gold (TSX:YRI)(NYSE:AUY) are among the benefitted by the move. “Eliminating export duties will have a direct benefit to the state. San Juan is one of the provinces with the largest mining resources in the country. It’s important to have a federal vision about those resources,” Jaime Berge, head of San Juan’s Mining Chamber, told Buenos Aires Herald. 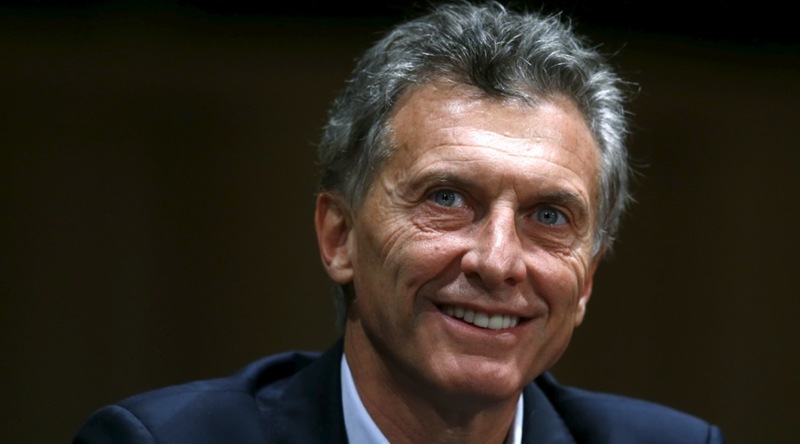 Macri’s government has moved quickly to liberalize market conditions and normalize the country's economy. In only two months, the Argentine government has relaxed exchange controls and let the peso float, eliminated export taxes on mining products and lifted restrictions on the repatriation on earnings and dividends. Argentina produces silver, gold, copper, aluminum and lead. It also has important potash and uranium reserves.